Shapes, shadows, outlines all in black and white. This is what Francesco Igory Deiana presents in his current show at the CULT Aimee Freiberg exhibition. Based in San Francesco, both the gallery and the Italien artist share the same surroundings as a base to explore, represent and nourish. The solo show is entitled `Haptic Render´ which directly refers to our senses and touches; both human and technological. 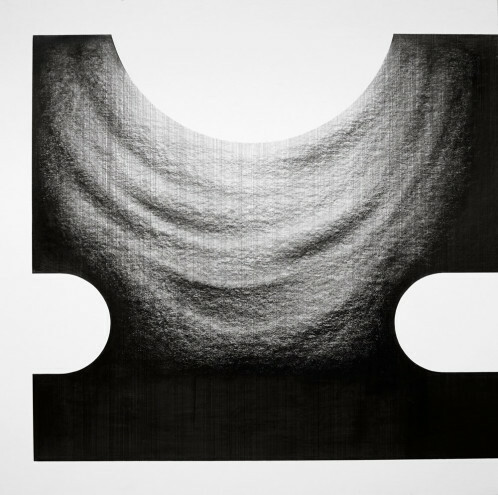 The series that forms the unite of ‚Haptic render‘ is made out of graphite on cardstock. The lines are pure and the design refers to computer language. 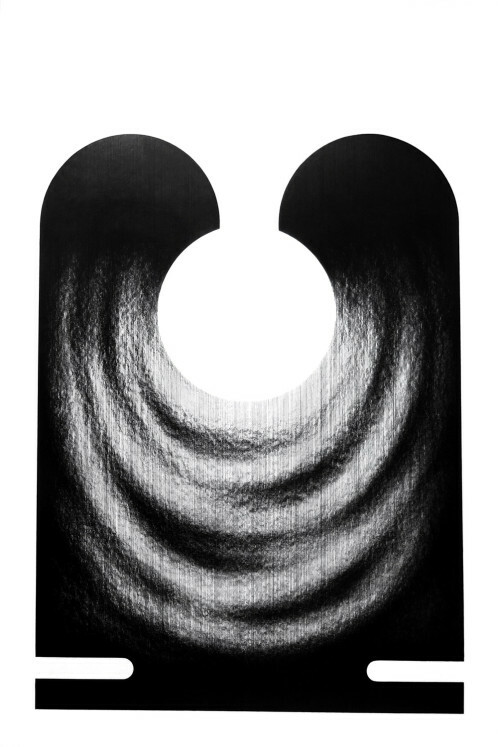 On a plate surface Deiana rends a 3D impression by playing with negative and positive spaces. A user of a plethora of diverse media – photography, print, spray paint – Deiana here concentrates on only one medium in order to convey the idea of touch and contact implied in the exhibition title. For ‚Haptic render‘, the artist mainly worked on curves and strokes in order to visually perform the feeling of touching different materials, some softer, some harder and thus envelop the viewer into different universes.